Did You Win Medievil Thriller PILGRIMAGE On DVD? Medievil thriller Pilgrimage, starring Tom Holland, comes to UK DVD July 3rd, and we've got three copies to give away. Spiderman: Homecoming star Tom Holland ventures on a quest for survival in Pilgrimage, which comes to Blu-ray, DVD and Digital Download on 3rd July from Studiocanal. We've got three copies of the film on DVD to give away to UK readers. Ireland, 1209. An island on the edge of the world. A small group of monks begin a reluctant pilgrimage across an island torn between centuries of tribal warfare and the growing power of Norman invaders. 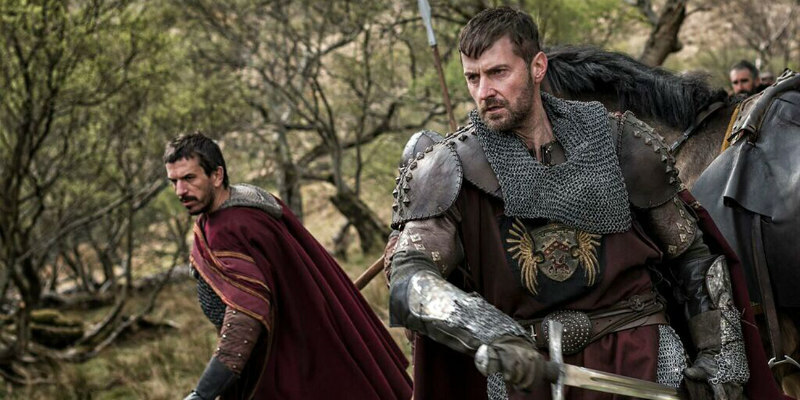 Escorting their monastery’s holiest relic to Rome, the monks’ progress is seen through the eyes of a pious young novice (played by Holland) and a mute lay-brother (Jon Bernthal - The Wolf of Wall Street, The Walking Dead, The Punisher), who form an unlikely partnership to lead the quest after their group is ambushed leaving only them left alive. As the true material, political and religious significance of the bejewelled relic becomes dangerously apparent, their path to the East coast becomes increasingly fraught with danger – not least from enemies, including Sir Raymond de Merville (Richard Armitage - The Hobbit trilogy, Captain America: The First Avenger), determined to thwart their progress. The monks belatedly realise that in this wild land of ancient superstitions, the faith that binds them together may ultimately lead to their destruction.